At the Observatory, being granted the right to choose your research, explore your own theories was a rite of passage. A formal acknowledgment of your dedication, discipline, and achievements in the world of academia. Unfortunately for this scholar, the initial heady rush that often comes with newfound freedom caused a critical failure of discipline. With a great sigh, the dragon realized they would have to stash their findings somewhere and head back to the Observatory. “Maybe I can sneak in without anyone seeing me. Leaving for the Tangled Wood without any way to carry delicate findings - or food…” their voice trailed off as their stomach voiced another protest about its empty state. Foxfire Bramble was definitely not a place for food. “I’ve put this off long enough. I’ll hide them and get back as fast as I can.” It took some doing but the scholar was confident the fragile plants were well hidden. These plants pulsed with a magic not known to the Observatory. The scholar theorized the unknown magic was that of a mysterious Nocturne clan that allegedly appeared the previous year across Sornieth. Only a few dragons believe they ever existed and they claim Sornieth would have been destroyed without the nocturnes. Not only did the scholar believe, they were certain the existence of these dragons could be proven and they would be the one to do it! The scholar stretched their wings, ready to take flight while lost in the thought of academic glory and completely oblivious to the tangled vine slithering out from the trees towards them. It wrapped itself up their leg and just as the scholar registered something was very wrong, the vine yanked them off their feet, pulling them back into the gloom. When the vine stopped, the scholar attacked, desperately trying to pull it off their leg. As they pulled their leg free they heard a low growl in front of them. The vine snapped tightly back around their leg and something landed on them. Pain shot through the scholar’s shoulders and down their wings. “My wings...what did you do…” the scholar gasped. “I don’t know who or what Thana is! I’m from the Observatory, I’monmyfirstindependentresearch -” their voice cut off when the lancing pain shot down their wings again. “You found our magic. Only dragons of my clan or the mimics and imposters can.” Pain in the scholar’s shoulder was replaced by a crushing grip around their neck. “You are not of my clan and our magic cannot be detected by one who doesn’t know who we are. We made sure Sornieth forgot about us,” the voice hissed. The mysterious dragon’s weight slipped from the scholar. A faint glow appeared and they were able to make out the crumpled form of a nocturne female lying next to them. The nocturne was covered in an armor of black vines and branches. Shadowsong! “You’re the Shadowsong?” Fear creeped into the scholar’s heart. The legendary nocturne was severely injured, physically and magically. What did this? Who could do this? “Our clan exists for the purpose of guarding Sornieth from the mimics and imposters, but we are still nocturnes. We could still lose ourselves to dragons around us or worse - the very creatures who would destroy this world. Singers are nocturnes who are able maintain our independence, ourselves, and thus our clan. “Thana and I are from the same nest. They thought she might be a Singer but her independence never manifested. I didn’t realize the resentment and anger she carried until it was too late. I found them here four days ago. The hatchlings were hiding in the bramble, terrified and confused. As I was coaxing the little ones out, Thana, my sister, attacked me from behind. My own sister...” Shadowsong trailed off. “No. I would have known immediately,” Shadowsong responded, her voice hard. Select three (3) dragons to share with this week's theme: The scholar and their two (2) allies. Are the allies fellow scholars? Magicians? Warriors? Thieves? How did the scholar convince them to take on such a dangerous and possibly deadly task? Find Thana, find the hatchlings. Click here for the discussion thread. The Stolen Eggs spotlight will be in a future Community Update. 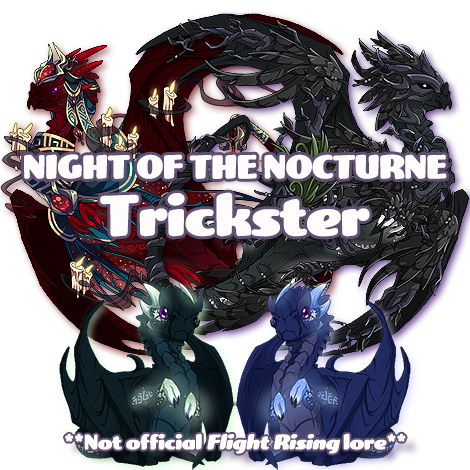 As always, theme week lore is NOT official Flight Rising lore/canon. So have fun! It was early in the morning when the messenger arrived. The little bird perched on top of a worn hat that might once have been more recognizable, but now could only be described as ‘vaguely leathery’. Beneath it was the face of a slumbering Imperial, and even further below were its arms, wrapped tightly around a mess of books and papers. It took about three hours less than the bird anticipated for the dragon to wake up. “N-no! My re-” The female Imperial suddenly jolted up, fumbling with the literary mass in her arms for a brief moment before realizing there was really nothing there. Only the bird, which now moved down from the spot it had unceremoniously been launched from to greet the dragon. Tied around its leg was a small scroll wrapped with a shimmering blue ribbon. Quickly regaining her composure, the dragon carefully removed the scroll to see that on its outside, “Blake” had been carefully written in pitch-black ink. A small smile flashed on the Imperial’s face as she pulled the ribbon off. She had already begun to form suspicions about the letter - that handwriting could only belong to one dragon. I pray this message reaches you soon. As of writing this, it is two months since I left for the Observatory. Is Haku taking good care of the Wooden Order..? Nevermind that - I’ll find out once I return. That is, however, the issue. Blake, you are my dear friend. I do not wish to write more than is needed for if this message is intercepted, I have put both the Clan and others in unnecessary danger. Therefore, I shall be placing my trust in you to come to the Observatory, at the highest possible speed. If possible, it would be a good idea to ask Akatsuki to join you. If you mention me, I’m sure she’ll come. I also have some things here that might be of interest to you. Blake said nothing, but folded up the paper and added it to her pile, then gave the bird a small nudge to let it know it was alright to leave now. It had indeed been two months since Shiroe, Head of the Wooden Order had left. He was a talented dragon, and so no one had questioned it when he made the request to take a trip to the Observatory in order to perform some sort of research. But to think that he had gotten in trouble, of all dragons? It couldn’t be. He was too smart for that. Which meant one of two things: either Shiroe had lied, or whatever danger he mentioned was really, really bad. And Blake would never think this in any other situation, but she really hoped it was the first option. The bird had awoken her early, and thus, only very few other dragons were awake. And why, why did it have to be Akatsuki? She’d be dead before she found her, and if she was in a bad mood, she’d be dead when she found her too. Ah, well. If she was lucky, Akatsuki was still asleep. As softly as an Imperial could, she walked towards the Winged Order’s sleeping quarters. The fact it had any at all was quite exceptional: unlike the other Orders, a dragon of the Clan could be a member of the Winged Order alongside their own, and would therefore be more likely to stay at their own Order. But it was such exceptions as Akatsuki that gave need for a place where the fighters could rest, and so a small area had been reserved for them. Of course, that only softened her step even more. Out of all Orders, it was fairly obvious that the most dangerous was the one covered in weapons, housing the Clan’s strongest fighters. Her own Order, the Glass Order, came in a close second - but she promised she’d improve safety measures, and then promptly forgot about it. Blake could only see a handful of dragons. There was the leader, Ruby, and Beat, one of her own who’d asked to stay over for training. Far in the back, though, she could see feathers ever so slightly move up and down, though the dragon they belonged to almost faded away the shadows. Akatsuki was alone in the room. The small Coatl was asleep - that was a relief, but now Blake had to figure out how to wake her up. Not that there was any time to figure out stuff. “I doubt that,” Akatsuki said, shifting her body around but not quite bothering to get up yet. “It is,” Blake responded, careful not to raise her voice. It was noon when the two dragons set foot in the Arcanist’s domain. Shiroe had been waiting outside for them to arrive - had he calculated it correctly, this was about the time they’d be here. If they weren’t here within thirty minutes, he would go back inside - hopefully, though, it’d be soon. It wasn’t difficult for Blake and Akatsuki to spot him: after all, he was an Imperial like Blake. When the three came together, they towered above the poor Coatl, who did all she could to pay it no mind. He walked away from the Observatory, beckoning the two to follow him. Neither Blake nor Akatsuki missed the hint - it was risky to speak about such matters within earshot of any other dragons, whatever those matters were. Certainly important enough to call two clanmates to the Observatory, as fast as they could muster. “Right,” he said as they approached a more quiet spot. “Blake, first I must give you this,” Shiroe mentioned as he took a small, purple shimmering flower from one of his many pockets and bags and handed it over. “This..?” Blake wasn’t sure how to react. Was this why they came here? A mere plant? And yet, it had an unusual aura about it - some sort of pulsating magical energies, unlike anything she had ever encountered before. She wasn’t experienced with plants, but she was most well versed in magic, and she wondered if there was a single dragon in the Order of Glass who knew what this was. Perhaps Lucina or Libra would have some sort of hint? Akatsuki’s expression changed little, as was usual for her, but Blake swore she caught her eyes widening ever so slightly. Lorekeeper was one of the many titles that Shiroe held within the Clan - and for good reason. Originally a scribe, he put his talent to good use by recording as much information as he could. So it was he, too, that knew of Akatsuki’s mysterious past. Anyone could see, for example, that she was born in those same woods, where her kind’s naturally despised dull feathers suddenly became an advantage. But only the sharp would notice where the assassin had been taught the art of stealth. “You know me too well,” Akatsuki sneered. Blake wasn’t entirely sure what she meant, nor was she sure she wanted to know. “Help? C’mon, get to the point already, Shiro.” Blake wasn’t growing impatient - that wasn’t quite the right word - but she seemed to be getting more and more nervous. Shiroe had mentioned some sort of danger. What was he referring to? Akatsuki said nothing, but spread her wings. Upon seeing her do so, Blake repeated the motion. “Have I ever said no?” Akatsuki then said, leaning her body back in preparation to take off. A short, breathy laugh escaped the cloaked Imperial’s mouth. The story of Pomegranate getting sidetracked (yet again) by some Nocturnes, featuring Artemis and Oblivion. If you find this formatting hard to read, I've crossposted this entry to Archive of our Own! Hopefully, that should be easier. A perceptive dragon might notice the odour of half-completed brews and burnt slimes in the hallways of the Observatory, and follow the scent to find the one responsible. A slightly less perceptive dragon might just follow the trail of rusty red feathers. Pomegranate often made appointments at the Observatory, as part of his quest for immortality, but he was very rarely patient. And if you followed his trail of feathers, plucked from head-on collisions with unassuming objects in his way, you would learn just how impatient he was. For he had travelled all the way to the Tangled Woods. Beneath his striped claws, broken brambles and branches marked his brisk step, desperately trying to stick to a self-assigned pace. It had been hours since he had eaten, and he was feeling the consequences - but lo, in front of him! A glowing flower, sparkling in the moonlight like it was one of the stars itself. Artemis might have taken inspiration from the bizarre bloom, and Cari might have been able to identify the best way to grow it... But as long as Pomegranate was alone, he only saw one use for it. He would study the mysterious magic, denounce it to the world, and perhaps even get extra credit. Unfortunately, life had other plans for him. Elsewhere, a similar patch of flowers shimmered softly in the murk of the woods. But these weren't quite the same. Whereas the flower that had mystified Pomegranate surged strongly with Shadow sorcery, this flowerbed was enchanted by Lightning magic. Artemis had predicted that these flowers would never dim, relying on solar energy conversion and other such things, but she never predicted she would leave Wonderland for long enough to leave her magic without maintenance. Yet, all good mages and scientists knew that there was always a first time for everything. 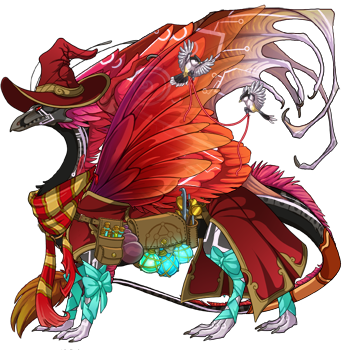 It was Pomegranate, a fellow Coatl, who had inspired her to leave Wonderland to help him with something, in his words, "that could mean the end of the world as we know it." Dramatic, yes, but she had come to expect that from him. In retrospect, he was right to be dramatic. As one of the eldest members of Wonderland, she held a faint memory of last year's Night of the Nocturne, but whether by magic or just the simple passage of time, she had forgotten the exact details. It was only upon seeing Shadowsong that everything came rushing back to her. Hearing the Nocturne's tales of her lost hatchlings, her traitorous sister and the threat to dragonkind drew shining tears from her crystal blue eyes. While at first she wept for the poor Voidsong and Nightsong, she soon lifted her head, ready to try and make a difference. Deep within a dim and dusty lair, a dragon slept among piles of books. A miniscule beam of sunlight crept in from a crack in the roof, only just large enough for the Fae himself to fly through, and if not for the way the light reflected off of his wings, the room would be cloaked in darkness. Oblivion far preferred the safety of his own den, despite his mate's suggestions to "get out more". After all, bats and books would never judge him, and others had plenty to judge him for. Illogical necromancy, refusal to talk to anyone, abandoning his first and only egg... he could go on. And although he could explain everything, his words would never be loud enough for those who chose not to listen. Maybe, then, actions would speak louder than words. He couldn't save his own hatchling, but maybe he could save Voidsong and Nightsong... Maybe, for once in his life, he could use his "curse" for good. And even though his actions would never go down in history, thanks to the Singers' natural seclusion and solitude, at least he could prove to Pomegranate and Artemis that he was so much more than the rumours. And after everything that happened, maybe they would believe him. Two combat ready souls sent by his father, the Plague Representative of the Council, to keep his starry-eyed son safe. Pyrrha, a willing fighter with a heart as large as she is. Pyrrha is a recent mother and oddly use to tracking down small hatchlings. Jaune, a reluctant warrior that has earned respect among the lair. Andy had to convince the Nocturne to come along as a way to hopefully make it easier to find Thana. 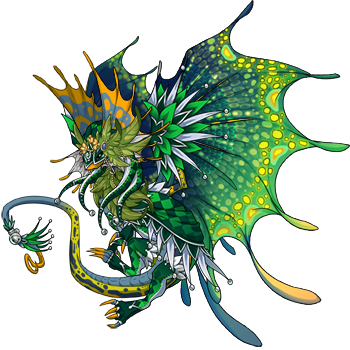 [url=http://flightrising.com/main.php?dragon=37415189] [img]http://flightrising.com/rendern/350/374152/37415189_350.png[/img] [/url] Spruce, and his allies Noxious [url=http://flightrising.com/main.php?dragon=24272143] [img]http://flightrising.com/rendern/350/242722/24272143_350.png[/img] [/url] and MintCherry. 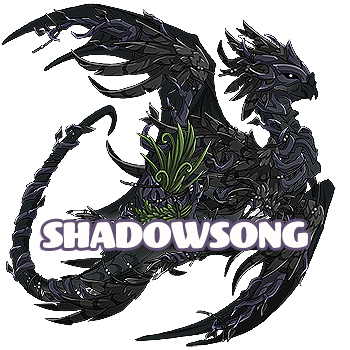 [url=http://flightrising.com/main.php?dragon=22931467] [img]http://flightrising.com/rendern/350/229315/22931467_350.png[/img] [/url] Noxious is a warrior, and though Spruce doesn't know him personally he has heard of Noxious's unwavering reliability and skill (and also the rumors of his being a rebel in secret), and was able to easily convince him to join them on their quest. MintCherry is a simple bird enthusiast, helping around the Clan with anything bird-related (from helping to maintain proper bird health, to how to remove pesky avians as peacefully as possible), but he is a good friend of Spruce's, and agreed to follow his friend on his quest. With MintCherry's affinity for birds - he manages to find a couple of useful birds to aid them on their mission - and large size, coupled with Spruce's knowledge of the situation and Noxious's fighting and tracking skills, they soon locate Thana and the hatchlings. Spruce gets the hatchlings away while Noxious and MintCherry handle Thana (MintCherry really just standing back and directing his birds), keeping her distracted. They succeed, and Noxious manages to knock Thana out so that they can escape to Shadowsong. Noxious is a warrior, and though Spruce doesn't know him personally he has heard of Noxious's unwavering reliability and skill (and also the rumors of his being a rebel in secret), and was able to easily convince him to join them on their quest. MintCherry is a simple bird enthusiast, helping around the Clan with anything bird-related (from helping to maintain proper bird health, to how to remove pesky avians as peacefully as possible), but he is a good friend of Spruce's, and agreed to follow his friend on his quest. 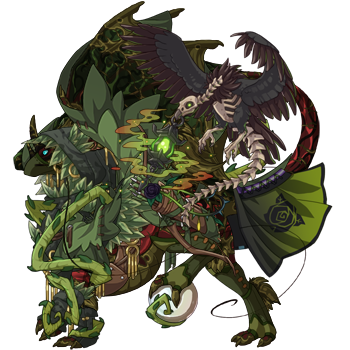 With MintCherry's affinity for birds - he manages to find a couple of useful birds to aid them on their mission - and large size, coupled with Spruce's knowledge of the situation and Noxious's fighting and tracking skills, they soon locate Thana and the hatchlings. Spruce gets the hatchlings away while Noxious and MintCherry handle Thana (MintCherry really just standing back and directing his birds), keeping her distracted. They succeed, and Noxious manages to knock Thana out so that they can escape to Shadowsong. Claim! 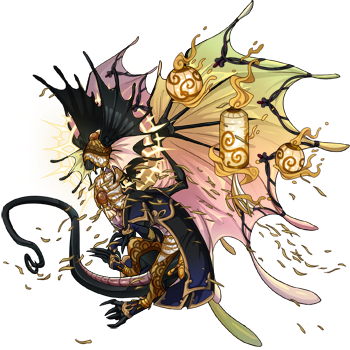 [url=http://flightrising.com/main.php?dragon=33020962] [img]http://flightrising.com/rendern/350/330210/33020962_350.png[/img] [/url] The Scholar, Jarvis. 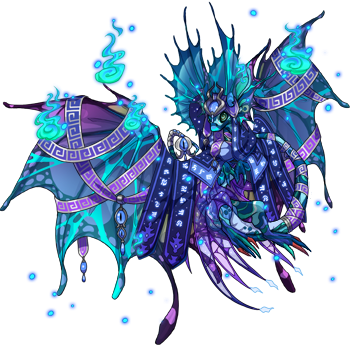 A brilliant young dragon with a knack for technology, but a love for the supernatural [url=http://flightrising.com/main.php?dragon=34252552] [img]http://flightrising.com/rendern/350/342526/34252552_350.png[/img] [/url] [url=http://flightrising.com/main.php?dragon=35767190] [img]http://flightrising.com/rendern/350/357672/35767190_350.png[/img] [/url] And his companions, Mirkwood and Nyxa! A deadly, refined assassin with a penchant for the wilds and gold, and a brutal but somehow elegant brawler, who's always up for a fight! And his companions, Mirkwood and Nyxa! A deadly, refined assassin with a penchant for the wilds and gold, and a brutal but somehow elegant brawler, who's always up for a fight! "fool, you shouldn't stare into these eyes of fire." [center][font=Century][size=7][u]The Scholar:[/u][/size][/center] [center][size=4][i]Tarkin, Astute Sage[/i][/size][/center] [center][url=http://flightrising.com/main.php?dragon=29895113] [img]http://flightrising.com/rendern/350/298952/29895113_350.png[/img] [/url][/center] [center][size=3][i][u]Biography:[/u][/i][/size][/center] As a fellow Nocturne dragon, Tarkin too possesses the magic of the rare species of The Tangled Wood she so fondly takes interest in, since she once thought as a hatchling that she was the only one of her kind but later found others like herself in most other clans despite there were only very few populations around Sornieth; but, ancestry aside, her personal intentions are focused only on academics and research she has devoted her entire life into since her acceptance to the Observatory of the Starfall Isles. Only just recently, Tarkin was spared after her encounter with the legendary Nocturne warrior [i]Shadowsong[/i], but now she is tasked to find and stop the blood sister of the Brambled warrior herself; [i]Thana[/i], now a rogue Singer of the Nocturne clan, had taken two newly hatched Nocturne babies for reasons unknown, but even though Tarkin is only but an academic of both Shadow and Light her natural Nocturne-born instincts will help answer some questions along the way, not only to rescue the newborn hatchlings but also defend Sornieth from entering another hostile war; but [i]who[/i], she thought would even partake alongside her to this dangerous quest? Perhaps there is only [i]two[/i] she knows of who could perform such a task... [center][font=Century][size=7][u]The Ally #1:[/u][/size][/center] [center][size=4][i]Bladebeak, Bog Warrior[/i][/size][/center] [center][url=http://flightrising.com/main.php?dragon=31701790] [img]http://flightrising.com/rendern/350/317018/31701790_350.png[/img] [/url][/center] [center][size=3][i][u]Biography:[/u][/i][/size][/center] Not long after braving yet another crusade for the Shadowbinder, Bladebeak returns to the Wispwillow Grove territory to once again serve under the Princess of the Bog herself, [i]Princess[/i], the progenitor and current ruler of the Whispering Mire clan that not long ago was first founded by a Guardian dragon, [i]Demetrius[/i], but later abandoned it to pursue his own achievements outside the realm. During the time after attending the Shadowbinder's campaign, Bladebeak meets the clan's academic, [i]Tarkin[/i], during during a routine royal duty for Princess and notices she is a Nocturne dragon; of course Bladebeak had been away on the Shadowbinder's fights he didn't get a chance to know his clanmates before he would be summoned by Mother Shadow herself. He asks Tarkin of her species and if the stories about them were true, so she explains to Bladebeak of everything she knew so far of the Nocturnes that would come out of hiding every once a year from The Tangled Wood, and how the dragons themselves possess a magic only they can conjure among one another in recognition of their own kind. This experience truly awed Bladebeak and eventually took interest in the knowledge of the rare species as well as he became good friends with Tarkin herself. Several moons passed, while attaining to a new generation of the princess's royal guards, Bladebeak was called by Tarkin after her returning from her exhausted journey through the darkest coverts of The Tangled Wood and begins to listen of her experience with the fabled Nocturne warrior, [i]Shadowsong[/i], and how her sister, [i]Thana[/i], had gone rogue with the mimics and kidnapped two newly hatched Nocturne hatchlings from her clan for reasons unknown. Though it may be against Princess's decrees to go off into battle without proper authorization by her [i]or[/i] the Shadowbinder, but Bladebeak agrees to help with the mission as he too has learned over time of the Nocturnes and the magic they posses, considering the fact that he currently knows Tarkin all too well to see herself or others like her to fall into the wrong talons of the dangers that await. 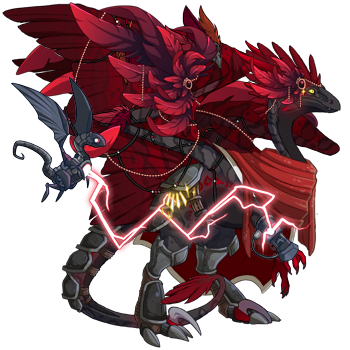 With his strength and skills, Bladebeak is prepared to stop Thana from attempting her dangerous wills upon Sornieth and prevent any harm that may come toward the Nocturne younglings. [center][font=Century][size=7][u]The Ally #2:[/u][/size][/center] [center][size=4][i]Pumpkin, Crooked Illusion[/i][/size][/center] [center][url=http://flightrising.com/main.php?dragon=31717658] [img]http://flightrising.com/rendern/350/317177/31717658_350.png[/img] [/url][/center] [center][size=3][i][u]Biography:[/u][/i][/size][/center] Word has it that a pickpocket had been roaming the realms for the past several moons now, but no one could figure out who the culprit was for that long period until Tarkin, while one day undertaking some research for the Observatory, had accidentally bumped into a local male Fae dragon dressed in gold steampunk attire, and through the Nocturne's instincts sensed an arcane aura possessing the little dragon-- in a good way of course. The two dragons apologized for the small incident and went about their individual ways, until after a short moment Tarkin noticed her treasure pouch she carried had disappeared! Frantically, she searched for the sack around her but to no avail, unless-- was it the Fae she collided into?! With a suspicious hunch Tarkin manages to track down the Fae and accused him of stealing the sack with a snarling hiss. Most pickers would usually don't confess to their crimes, but this Fae dragon immediately returns the item to Tarkin, humbly apologized, introduced himself as [i]Pumpkin[/i], told his life's story as well as he explained how pickpocketing is more of a [i]hobby[/i], and in the blink of an eye he instantaneously disappears with a large blast of smoke, leaving Tarkin with a befuddled look at that moment. Countless moons later, Pumpkin is now summoned by Tarkin, who later forgave and forgotten their first misfortunate encounter, to aid in the quest for tracking down Thana, the rogue Singer of the Nocturne clan and sister of the legendary Shadowsong, and locate two kidnapped Nocturne offspring-- Voidsong and Nightsong-- and stop Thana from attempting a possible threat to all of Sornieth that may involve the innocent hatchlings. Normally Pumpkin is not one for danger and adventure, but if such occurrences consist of any harm or kidnapping toward the lives of children, which he absolutely adores more than pickpocketing or magic combined, Pumpkin's the fatherly figure for the job; and with his arcane magick at hand, it should be enough to take down Thana and bring peace to Sornieth once and for all. 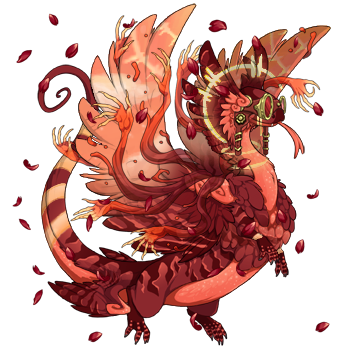 As a fellow Nocturne dragon, Tarkin too possesses the magic of the rare species of The Tangled Wood she so fondly takes interest in, since she once thought as a hatchling that she was the only one of her kind but later found others like herself in most other clans despite there were only very few populations around Sornieth; but, ancestry aside, her personal intentions are focused only on academics and research she has devoted her entire life into since her acceptance to the Observatory of the Starfall Isles. Only just recently, Tarkin was spared after her encounter with the legendary Nocturne warrior Shadowsong, but now she is tasked to find and stop the blood sister of the Brambled warrior herself; Thana, now a rogue Singer of the Nocturne clan, had taken two newly hatched Nocturne babies for reasons unknown, but even though Tarkin is only but an academic of both Shadow and Light her natural Nocturne-born instincts will help answer some questions along the way, not only to rescue the newborn hatchlings but also defend Sornieth from entering another hostile war; but who, she thought would even partake alongside her to this dangerous quest? Not long after braving yet another crusade for the Shadowbinder, Bladebeak returns to the Wispwillow Grove territory to once again serve under the Princess of the Bog herself, Princess, the progenitor and current ruler of the Whispering Mire clan that not long ago was first founded by a Guardian dragon, Demetrius, but later abandoned it to pursue his own achievements outside the realm. During the time after attending the Shadowbinder's campaign, Bladebeak meets the clan's academic, Tarkin, during during a routine royal duty for Princess and notices she is a Nocturne dragon; of course Bladebeak had been away on the Shadowbinder's fights he didn't get a chance to know his clanmates before he would be summoned by Mother Shadow herself. He asks Tarkin of her species and if the stories about them were true, so she explains to Bladebeak of everything she knew so far of the Nocturnes that would come out of hiding every once a year from The Tangled Wood, and how the dragons themselves possess a magic only they can conjure among one another in recognition of their own kind. This experience truly awed Bladebeak and eventually took interest in the knowledge of the rare species as well as he became good friends with Tarkin herself. Several moons passed, while attaining to a new generation of the princess's royal guards, Bladebeak was called by Tarkin after her returning from her exhausted journey through the darkest coverts of The Tangled Wood and begins to listen of her experience with the fabled Nocturne warrior, Shadowsong, and how her sister, Thana, had gone rogue with the mimics and kidnapped two newly hatched Nocturne hatchlings from her clan for reasons unknown. Though it may be against Princess's decrees to go off into battle without proper authorization by her or the Shadowbinder, but Bladebeak agrees to help with the mission as he too has learned over time of the Nocturnes and the magic they posses, considering the fact that he currently knows Tarkin all too well to see herself or others like her to fall into the wrong talons of the dangers that await. With his strength and skills, Bladebeak is prepared to stop Thana from attempting her dangerous wills upon Sornieth and prevent any harm that may come toward the Nocturne younglings. Word has it that a pickpocket had been roaming the realms for the past several moons now, but no one could figure out who the culprit was for that long period until Tarkin, while one day undertaking some research for the Observatory, had accidentally bumped into a local male Fae dragon dressed in gold steampunk attire, and through the Nocturne's instincts sensed an arcane aura possessing the little dragon-- in a good way of course. The two dragons apologized for the small incident and went about their individual ways, until after a short moment Tarkin noticed her treasure pouch she carried had disappeared! Frantically, she searched for the sack around her but to no avail, unless-- was it the Fae she collided into?! With a suspicious hunch Tarkin manages to track down the Fae and accused him of stealing the sack with a snarling hiss. Most pickers would usually don't confess to their crimes, but this Fae dragon immediately returns the item to Tarkin, humbly apologized, introduced himself as Pumpkin, told his life's story as well as he explained how pickpocketing is more of a hobby, and in the blink of an eye he instantaneously disappears with a large blast of smoke, leaving Tarkin with a befuddled look at that moment. Countless moons later, Pumpkin is now summoned by Tarkin, who later forgave and forgotten their first misfortunate encounter, to aid in the quest for tracking down Thana, the rogue Singer of the Nocturne clan and sister of the legendary Shadowsong, and locate two kidnapped Nocturne offspring-- Voidsong and Nightsong-- and stop Thana from attempting a possible threat to all of Sornieth that may involve the innocent hatchlings. Normally Pumpkin is not one for danger and adventure, but if such occurrences consist of any harm or kidnapping toward the lives of children, which he absolutely adores more than pickpocketing or magic combined, Pumpkin's the fatherly figure for the job; and with his arcane magick at hand, it should be enough to take down Thana and bring peace to Sornieth once and for all. It took a lot of consideration because of the number of scholars in my clan but I've made my decision. 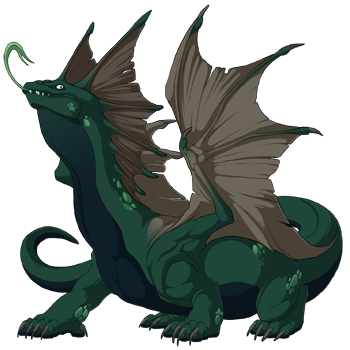 [url=http://flightrising.com/main.php?dragon=27491469] [img]http://flightrising.com/rendern/350/274915/27491469_350.png[/img] [/url] Fir is an herbalism apprentice who, because of a difficult fledgling-hood, doesn't like for anyone to go on to be forgotten. 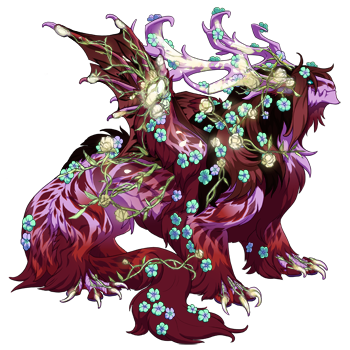 With her, she will bring: [url=http://flightrising.com/main.php?dragon=27565102] [img]http://flightrising.com/rendern/350/275652/27565102_350.png[/img] [/url] Melrose, clan founder's son and Fir's colleague in the botanical arts. Melrose, recently having become a father, has gotten quite good at tracking down missing hatchlings. It didn't take much convincing on Fir's part. They are good friends. 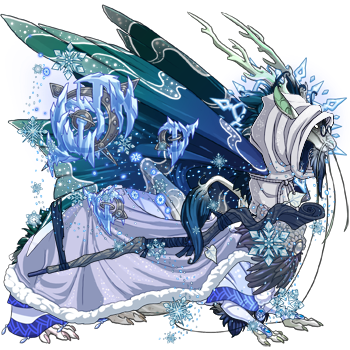 [url=http://flightrising.com/main.php?dragon=33554182] [img]http://flightrising.com/rendern/350/335542/33554182_350.png[/img] [/url] and Cheripha, who's Tundra nose, Shadow knowledge, and powerful magical abilities, makes her the perfect ally. She was a little harder to convince because Fir had the smell of a stranger and Cheripha is a but jumpy, but Melrose carried the scent of a Founder's child and she was willing to be convinced with great success. It took a lot of consideration because of the number of scholars in my clan but I've made my decision. Melrose, clan founder's son and Fir's colleague in the botanical arts. Melrose, recently having become a father, has gotten quite good at tracking down missing hatchlings. It didn't take much convincing on Fir's part. They are good friends. and Cheripha, who's Tundra nose, Shadow knowledge, and powerful magical abilities, makes her the perfect ally. She was a little harder to convince because Fir had the smell of a stranger and Cheripha is a but jumpy, but Melrose carried the scent of a Founder's child and she was willing to be convinced with great success.